Space exploration is very important to NASA. Because of this, I would like to challenge Texas Biology students to build a model of an ecosystem that will help us educate people on the requirements necessary to support life. 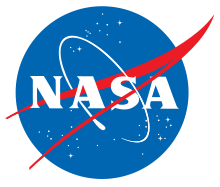 NASA will select the best designs from the top three schools in Texas. Successful models will include both biotic and abiotic elements of an ecosystem and address the requirements below. Please provide a detailed annotated diagram of your model with a description of how energy flows through the system as well as interactions of components. I expect great things from the Texas students.